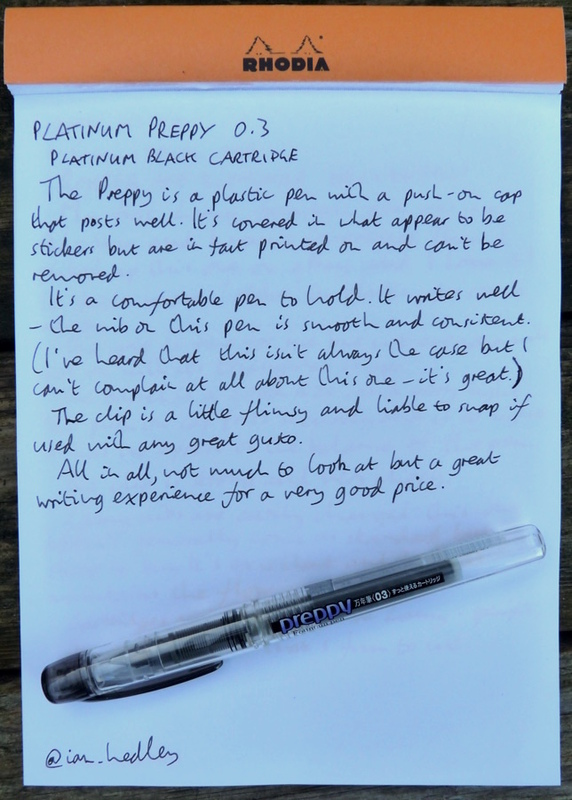 Platinum Preppy (Old Version) Fountain Pen Review – Pens! Paper! Pencils! 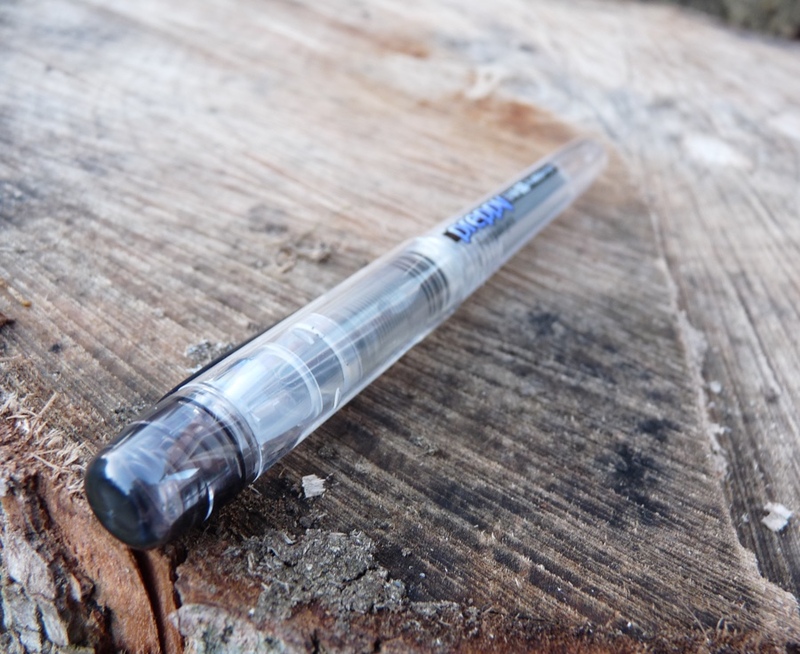 This review originally appeared on Economy Pens and it is of the older version of the Preppy, which is why I’ve published it on a Wednesday instead of the usual Monday. I’m including it here because I intend this site to be a collection of all the reviews I’ve written. I didn’t publish at the time because that didn’t seem fair, seeing as I’d written it or someone else’s site. You’re not restricted to the ink colour you originally bought, of course. The Preppy takes proprietary Platinum cartridges or, with an adaptor, standard international cartridges. It can also be converted to an eye-dropper. The barrel looks a bit horrid, if I’m honest. What appear to be ugly stickers plastered all over it are in fact printed on and so you’re stuck with them. The clip is liable to break if you’re not careful with it. 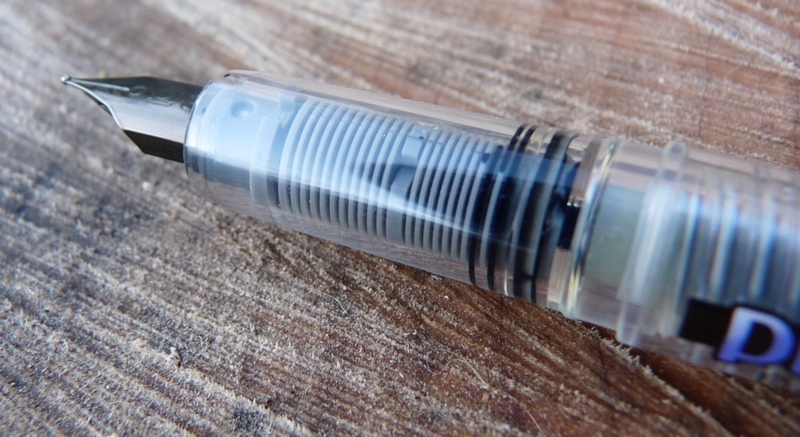 The cap however does post nicely and with the whole pen being so light it’s well balanced whether used posted or not. Likewise, it’s a comfortable length and width however you like to write. I’ve heard talk of Preppy’s being a bit hit and miss in terms of nibs but this particular one is really very good. It’s smooth and there’s no skipping. I’ve used pens that have literally been over ten times as expensive that haven’t been as pleasant to write with. This pen has travelled by plane to three different countries with me and it hasn’t let me down. It won’t last forever but it isn’t the end of the world if it’s lost of get broken. It’s ugly, there’s no getting away from that, but it’s great to write with. I must admit I agree that the printed writing on the barrel is rather unfortunate. But the nib is a joy to write with (I chose the 0.5 medium) which is extraordinary given the affordability of the pen. 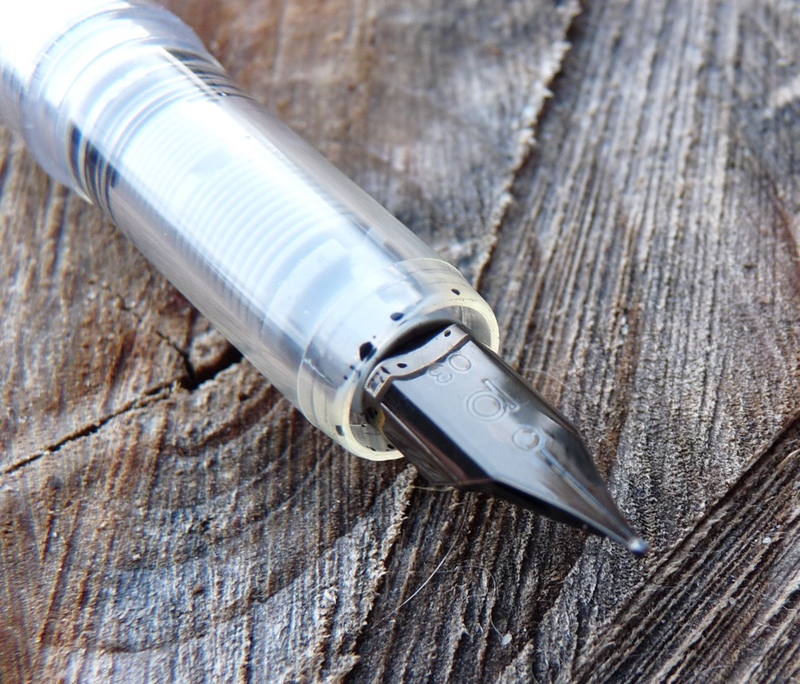 The ink flows beautifully and even on cheap paper the nib glides. How do they do it? I have not yet attempted to convert it to an eye dropper. Have you had any luck? I’ve not tried yet but Brian Goulet has a great video about doing it. It’s worth mentioning that you can leave this pen inked for months and months and months, and when you go back to write with it, it’s as if no time has passed at all. It’s like a ballpoint or rollerball in disguise. I’ve never had this happen to me, but I know a lot of people complain that the cap breaks easily. Has yours broken yet? Yes that’s a good point about leaving it inked, I hadn’t thought of that but it’s true. The cap on mine hasn’t broken yet. I found the 0.2 far too narrow, I’ve got the 0.5 in a Plaisir now, they swap around easily, great value and a good writer, I refill empty Platinum cartridges with a syringe. I bought two on your recommendation Ian and I love them!! I have 2, both with cracked caps and when you consider that neither has used more than a third of a ink cartridge and never left the very caring, pen friendly confines of my home, extremely poor. I cannot understand why reviewers often fail to mention this. My Preppy pens are not unusual. 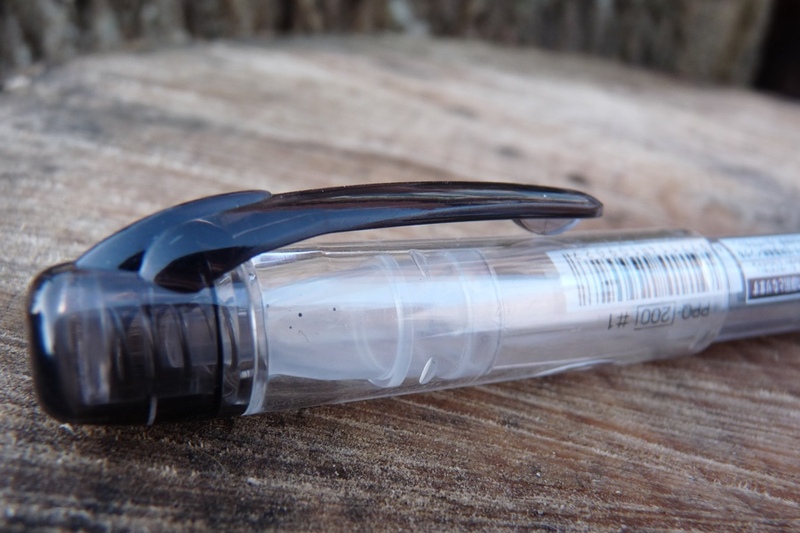 I review the pen I have, which has been to South Africa and back and has no cracked cap. If it had had a cracked cap I would have said. It didn’t. However, at least your comment will readers’ attention to the fact it might be an issue. Thanks. I’ve bought my daughter one of the new ones and she will certainly stress test it! I’ll write a review of it one of these days.